Amazon’s biggest sale is back! Amazon Prime Day has been an annual event for the last three years, internationally, and it was held in India for the first time, last year. This year Amazon Prime Day will be held on 16 and 17 July 2018. 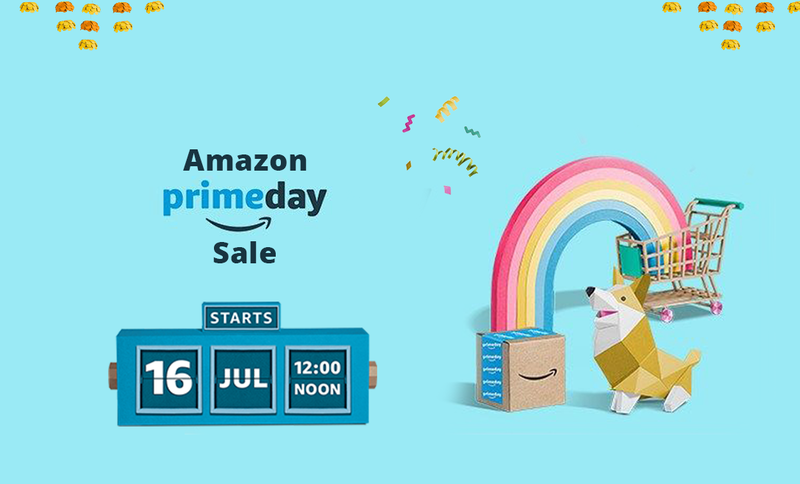 So, it will be raining amazing deals this monsoon in India and if you want to be a part of this mega sale, we have put together all the information about Amazon Prime Day 2018 right here. Amazon Prime Day is Amazon’s anniversary celebration held exclusively for Amazon Prime members. Since Amazon had made its first-ever sale in July 1995, Amazon Prime Day is celebrated in July every year. This year is going to be its second year in India. This year Amazon Prime Day is going to be a 36-hour event. It will start on 16 July at 12 PM and go on till 17 July midnight. Zingoy is going to keep a tab on all the best offers for you so bookmark this Amazon Prime Day sale offers page. How to participate in Amazon Prime Day 2018? To be part of this sale, you have to be an Amazon Prime member. You can buy the one-month Prime subscription available for Rs 129 currently, from here. You can even buy an annual subscription for Rs 999. Various offers are available on Amazon Prime subscription from time to time, you can keep an eye on Zingoy Amazon offers page. What kind of offers should you expect on Amazon Prime Day? Great discounts on latest Mobile Phones like Honor 7C, Samsung Galaxy On7 Prime, Samsung Galaxy Note 8, Huawei P20 Pro, 10.or E etc. You can expect some great deals on OnePlus, Samsung, Mi, Motorola, Honor, Realme, Huawei, Apple, Nokia, Tenor, LG, and Vivo. There will be products under Rs 599 and minimum 50% off on more than 1000 products in these categories. 70% off on books, fitness products, gaming consoles, toys and many other entertainment and educational toys. Steep price drops are expected on the Amazon Firestick and Amazon Echo, so Prime Day would be the best time to buy these Amazon products if you are planning on it. If you use Amazon Pay to make the payments of your shopping on Amazon Prime Day 2018, you will get 10% of the amount back. So, load up on your Amazon Pay balance right away to save more during the sale. It’s an online wallet; a more convenient way to make payments on Amazon India and other websites. Just keep it loaded with money and your payments will be faster and more secure. If you use HDFC debit or credit card to make your payments on Amazon Prime Day 2018, you will get an extra 10% instant discount (maximum Rs 2000) on your shopping. How to save more than others on Amazon Prime Day 2018? Yes, there’s another way to save even more on Amazon Prime Day 2018 and that’s by shopping via Zingoy. For one, you will get all the most amazing offers of Prime Day 2018 listed on a single page. So, you will not miss anything important. Moreover, if you shop via the links given on Zingoy, you will get some cashback, over and above the Prime Day discounts, on every purchase you make. You can use this cashback to buy Amazon vouchers, which, in turn, you can use to shop more on Amazon. If you like any Prime Day 2018 offer, you can share them with your friends and family. Just make sure you are logged in to Zingoy, so that your unique Zingoy shopping link gets shared. If someone makes a purchase via your links you will get cashback on that too. Excited much? So, get your shopping list ready, log in to Zingoy and get ready to save more than others on Amazon Prime Day 2018.